SOUTHINGTON - On the day of his funeral last Friday, Arthur Kelly was remembered as a staple at the local car shows by Music on the Green coordinator Jerry Limmer. Limmer said he had been friends with Kelly, who died Aug. 25, for around 30 years. 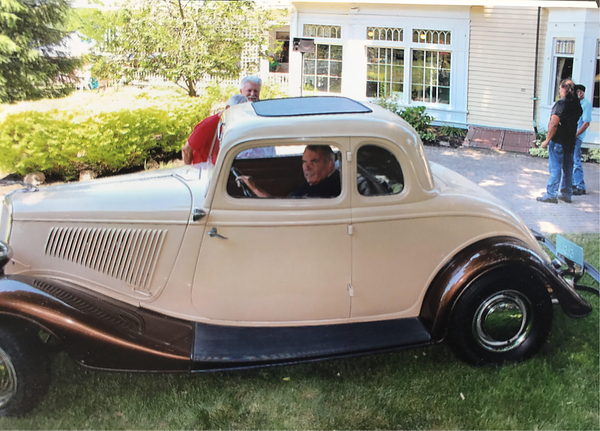 Limmer recalled seeing Kelly bring his 1941 Willys Model 441 as well as a 1934 Ford Coupe to the Music on the Green. “It was a beautiful car; all metal, not like the fiberglass cars of today,” Limmer said of the Ford Coupe. At a typical car show, Limmer said, Kelly could be found sitting with three to five friends talking about their classic vehicles with one another and anyone who stopped by to chat with him. The Tuesday following Kelly’s funeral, Dean Aldi, the current manager at Commercial Auto Body, said Kelly retired four months ago. Kelly died after he crashed into a parked car while driving his Willys on North Main Street. He was ejected from his vehicle and sustained serious injuries. He was transported to Hartford Hospital where he died. According to his obituary, Kelly was the son of the late Arthur Kelly Sr. and Margaret (Anderson) Kelly. He was a former manager at Commercial Auto Body and is survived by his son Ryan Kelly and his wife Lisa, his son Jeff Kelly and his wife Gail, his daughter Beth Kelly and her husband Toby Kulas, and eight grandchildren. In addition to his love of cars, Kelly was an avid sports fan and loved spending time with friends and family. Kelly’s memorial service was held at DellaVecchia Funeral Home. Posted in The Bristol Press, Southington Herald on Monday, 10 September 2018 20:51. Updated: Monday, 10 September 2018 20:53.